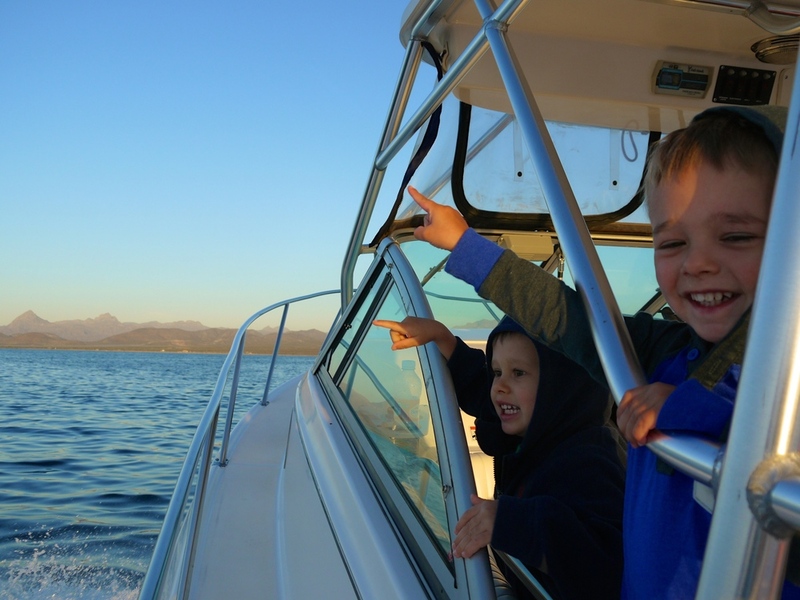 Last week I took my two toddler nephews out for their first fishing trip in Loreto! Our neighbors, Jeff and Claudia Gill and their three daughters, joined us. We woke up well before the sun, packed a picnic lunch, and met our fishing guides Jorge and Necki at the marina at 6am. 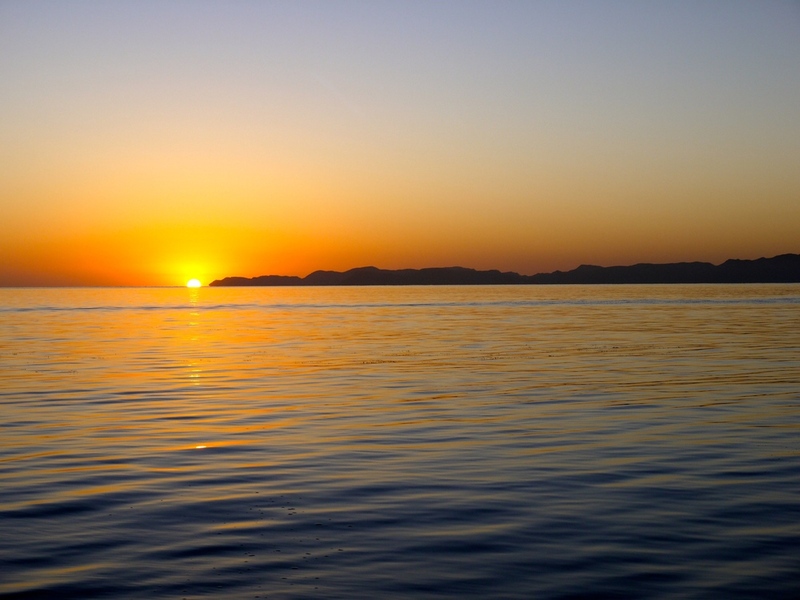 The sun rose, its light dancing on the glassy sea and waking up the sleepy mountains as we made our way toward Coronado Island to catch our live bait. Then the children started pointing and squealing with delight as a pod of dolphins swam by, putting on a morning show of jumps and flips. The excitement on their faces was priceless. Moments later we had reached our fishing spot destination just off Coronado Island. We caught 4 or 5 bait fish within minutes, and then proceeded to go for the big ones. 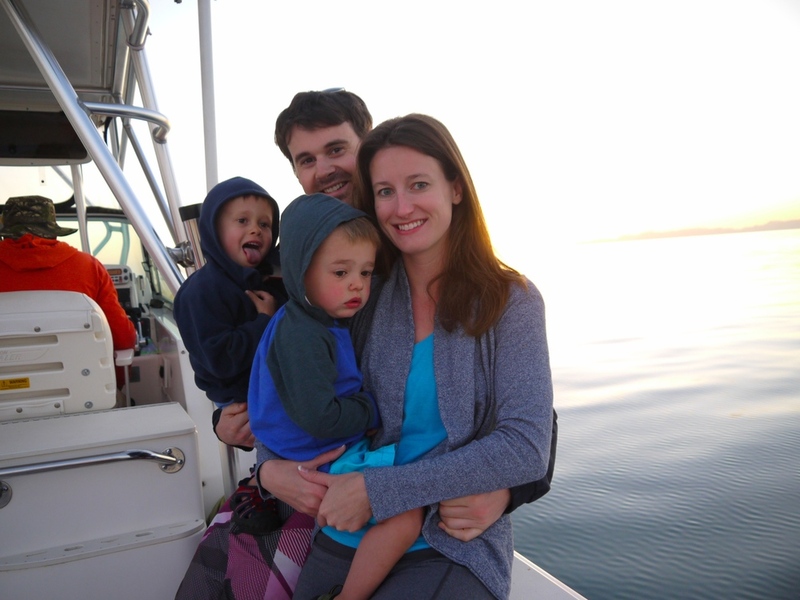 Since we had five kids on board (and my nephews were experiencing seasickness for the first time at this point), we didn't take the boat further than Coronado, and didn't expect to catch anything too big. 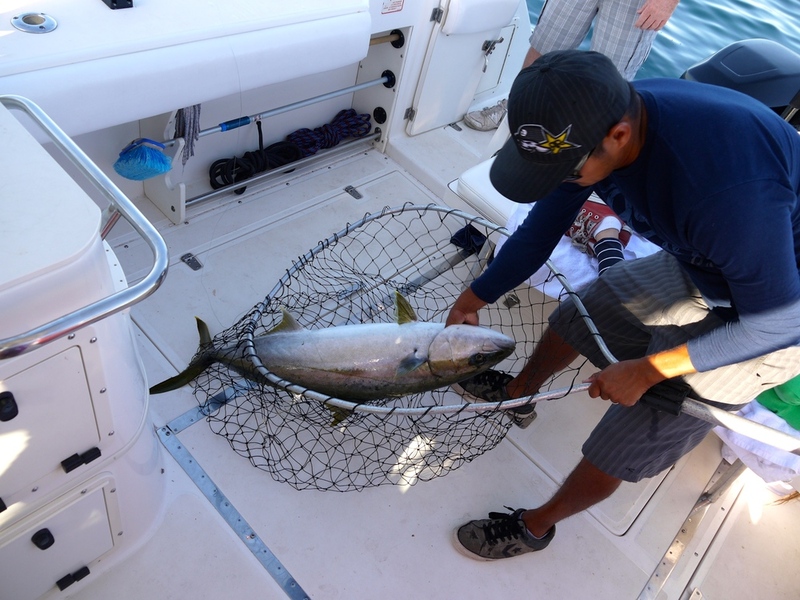 But sure enough, after a good fight, Jeff reeled in a 40 pound yellow tail. Ryan hooked something that seemed even larger, but it swam under the rocks and broke the line. After a few more tries, we called it quits and headed to the white sand beaches on Coronado for an afternoon of snorkeling, picnicking, napping, and building sandcastles. 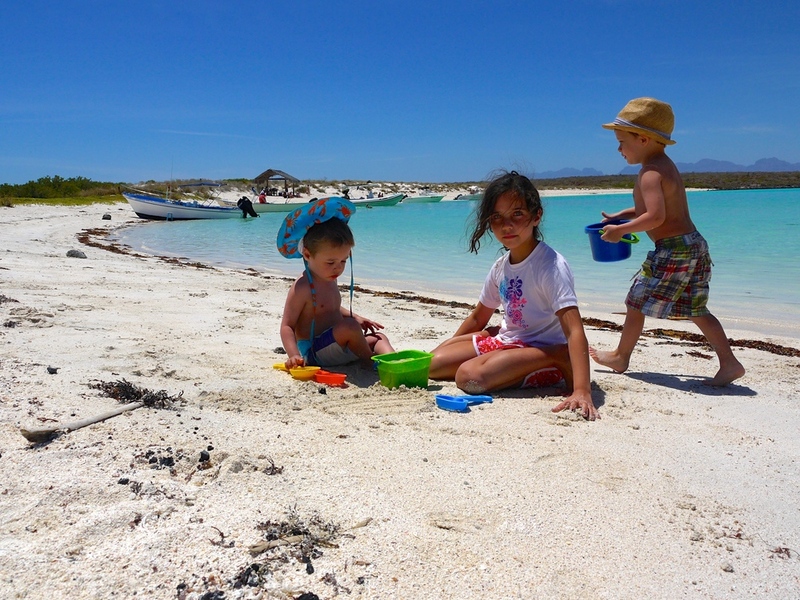 Loreto is one of the few places in the world with good fishing year round. 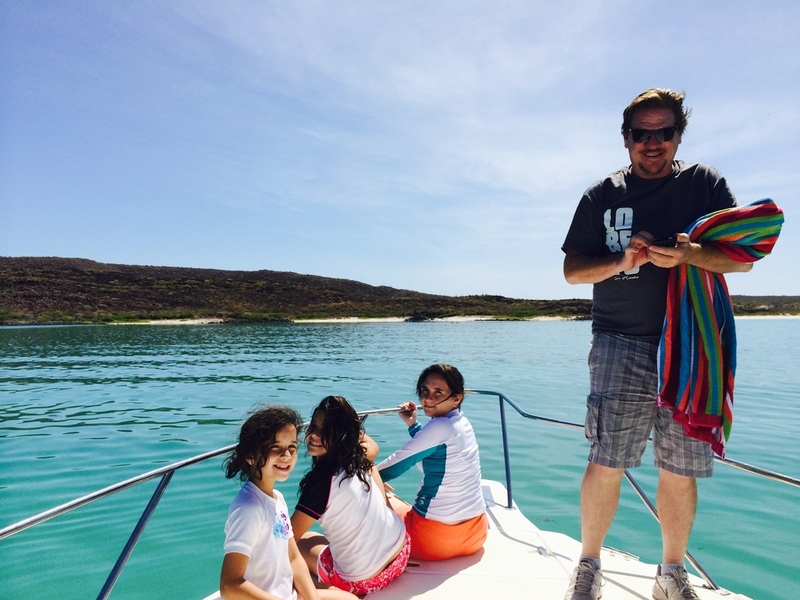 If you love fishing, a vacation in Loreto will be paradise for you. Right now you can catch Yellow Tail Amberjack (not to be confused with Yellow Fin Tuna), and huge Cabrilla (Grouper/Sea Bass) if you go out past Coronado Island. 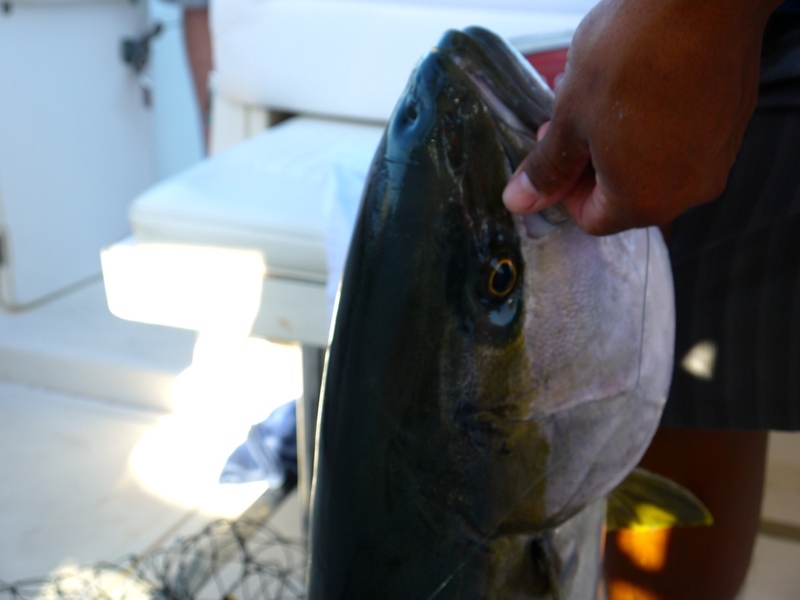 The best time for catching Dorado (Mahi Mahi) is just around the corner in June through September. When you book a vacation with Loreto Retreats, one of my colleagues or I will gladly arrange fishing excursions for you. Everett (and his goofy sun hat), Madeline, and Elliott hard at work building castles on Coronado Island. Posted on May 12, 2014 by Gillian Milne.